Daisy Fitzjohn lives with her mother in an old country house which is falling into disrepair. Daisy’s mother is an artist, fearful of the outside world, who goes out as seldom as possible and doesn’t let Daisy go anywhere outside of the house and grounds. The house itself is chock-full of furniture, boxes, and stores of food, amassed over the years. Left so much on her own, and in this strange environment, Daisy invents friends for herself amongst the animals, paintings and statues around her. One day her life gets even stranger, when her mother drives away early one morning without saying anything. Daisy waits and waits but begins to realise that something bad has happened and she is on her own. When a strange man arrives with a big suitcase and begins to check out the house and the grounds, Daisy has to use all her resourcefulness and bravery to keep herself and her home safe. There are themes of grief and loss, and how it feels as a child living with a parent who struggles to cope. Also, Daisy is an only child, who has to rely on herself for most of the time, and the world of her imagination gives her reassurance and enjoyment. 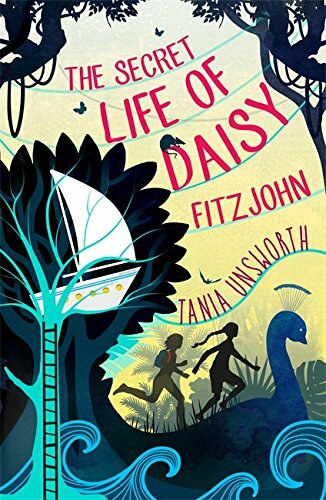 Brightwood Hall is brought to life with lovely clarity, as are the places in Daisy’s imagination, and Daisy is a strong character who is engaging and fun. The story is pacy with a real sense of danger and tension. Recommended for children 8+ who enjoy getting lost in a really good story.